Lightly scoop flour into dry measuring cups; level with a knife. Combine the flour, baking soda, and salt, stirring with a whisk. Place sugar and butter in a large bowl. Cream with a mixer until well blended. Add the eggs, one at a time, beating well after each addition. Add banana, yogurt, and vanilla; beat until blended. Add flour mixture into dry mixture; beat at low speed, just until moistened. 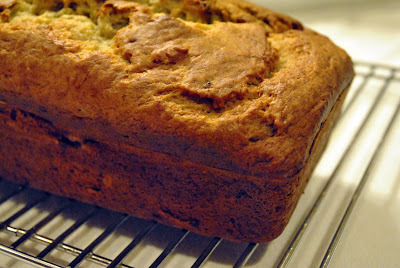 Pour batter into a greased 8 1/2 x 4 1/2 inch loaf pan. Bake at 350 f for 1 hour, or until a wooden toothpick inserted in the center comes out clean. Cool 10 minutes in pan on a wire rack, and remove from pan. Cool completely.